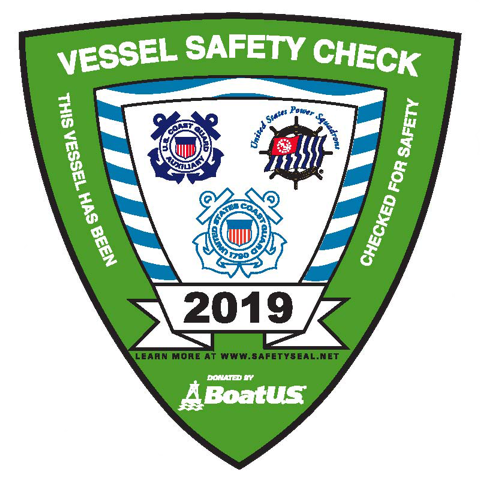 The mission of the Vessel Safety Check program is to minimize the loss of life, personal injury, property damage and environmental impact while maximizing the safe use and enjoyment of U.S. waterways by recreational boaters. The Vessel Safety Check process is one of “prevention through education, outreach and volunteer compliance” helping recreational boaters to gain a respect for the boating environment. Our members have joined with the USCG in offering courtesy Vessel Safety Checks at local marinas. Boat owners whose boats pass the complementary examination will be awarded a special decal to display on their boat. To request more details from the NVSPS VSC chairman, please email to vsc@nvsps.org. To read more about the program in general and how to become a VSC examiner, click here. Scheduled Inspections are periodically published in the NVSPS newsletter. To find a VSC examiner near you, please check the national list of examiners. If you want to do a pre-check of your boat before asking a VSC examiner to come aboard, please go to this self-inspection checklist.